Make sure you are well prepared before you start stretching, that will prevent unnecessary problems. Use our stretching guide if you're going to stretch for the first time or if you want to refresh your stretching knowledge. 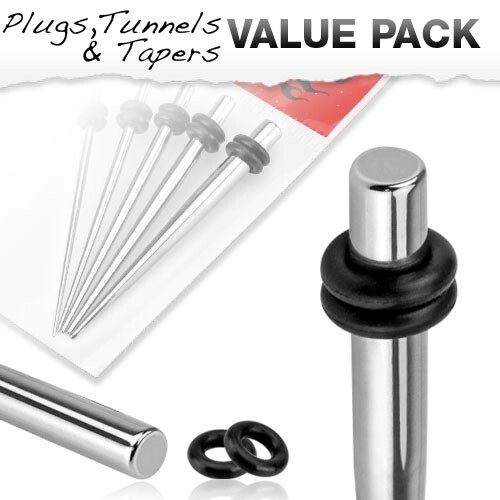 Make sure you use the right tunnels or plugs after stretching. Double flared plug or tunnels are strongly discouraged because they require flexibility from your earlobe. When your ear is recovering from its last stretch it does not have that flexibility. You can find these at the related products section. Finally, you'll also need a bottle of Jojoba Oil. You're supposed to use it as a lubricant. But besides lubricating Jojoba Oil also greatly improves healing after the stretch. Want to stretch beyond 4 mm? 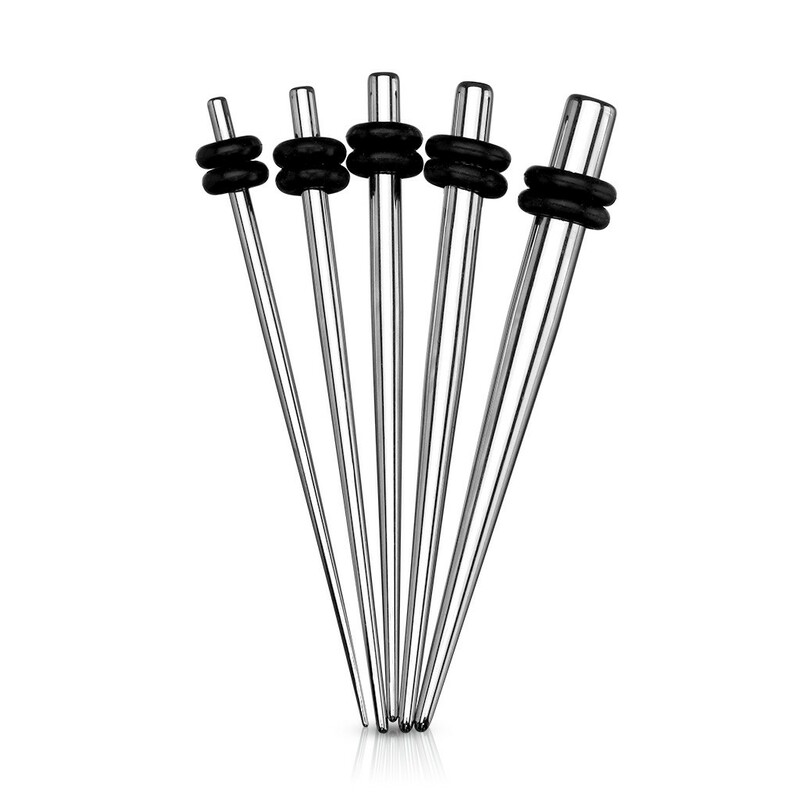 This stretch set is also available in a 5 mm (4 GA) up to 10 mm (00 GA) version. We also offer complete stretching kits at the bottom of this page.